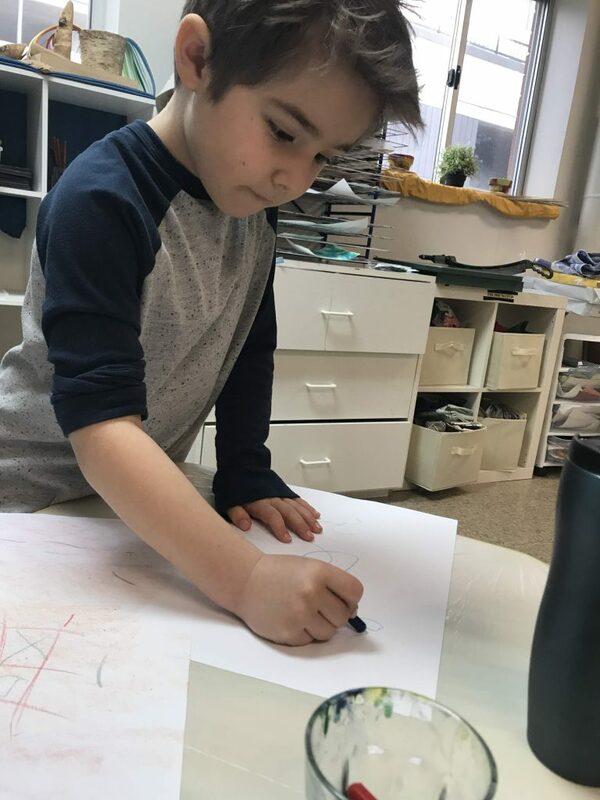 This week I want to highlight a set of skills that children were working on, through the lens of one particular kind of exploration we did this week. First, we needed to connect a few explorations that at first did not seem connected to each other. 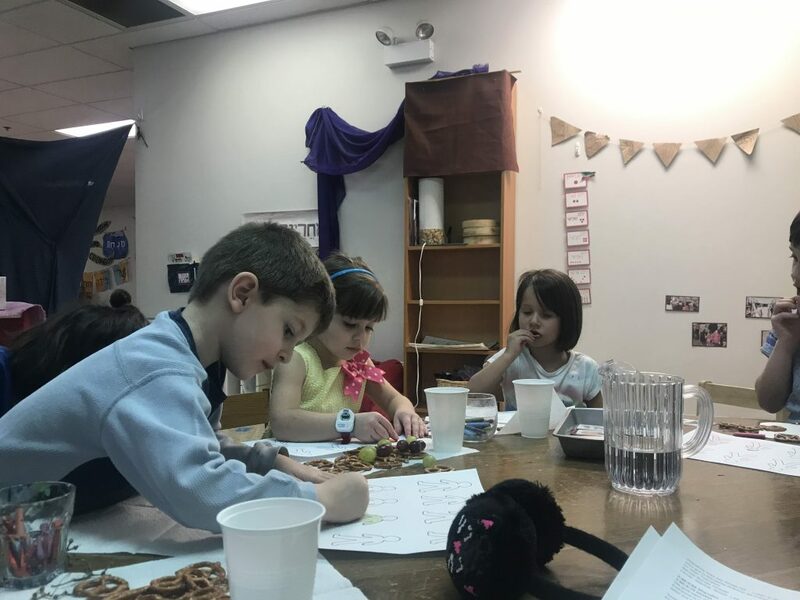 At the very beginning of our new theme, לְהִתְפַּלֵל (L’hitpalel), שׁוֹרָשִׁים (Shorashim– ‘roots’ for nursery) and שְׁתִּילִים (Shteelim– ‘saplings’ for kindergarten), tried out mark making in yetzirah (arts/creativity). We took turns doing an action with our body and making marks that show or go with that action. At this point the actions were not connected to our theme. 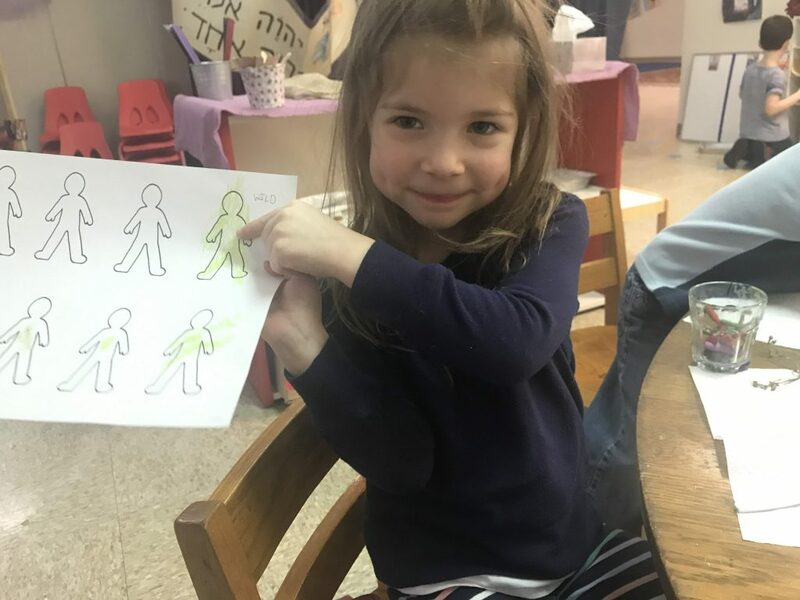 Then, last week, we started picking from a set of cards depicting actions http://jewishenrichment.org/2019/01/22/1432/ that would help us play our theme, לְהִתְפַּלֵל (L’hitpalel). This week, we connected these two ways of exploring by making marks that show or go with ways of saying תפילות (tefilot) that children chose using our cards. Like saying Shema out loud, versus silently, or dancing while singing Hallelu. While this exploration was taking place, children were really showing their capacity to take care of their own learning, and their peers. All the children tried a brand new way of exploring! 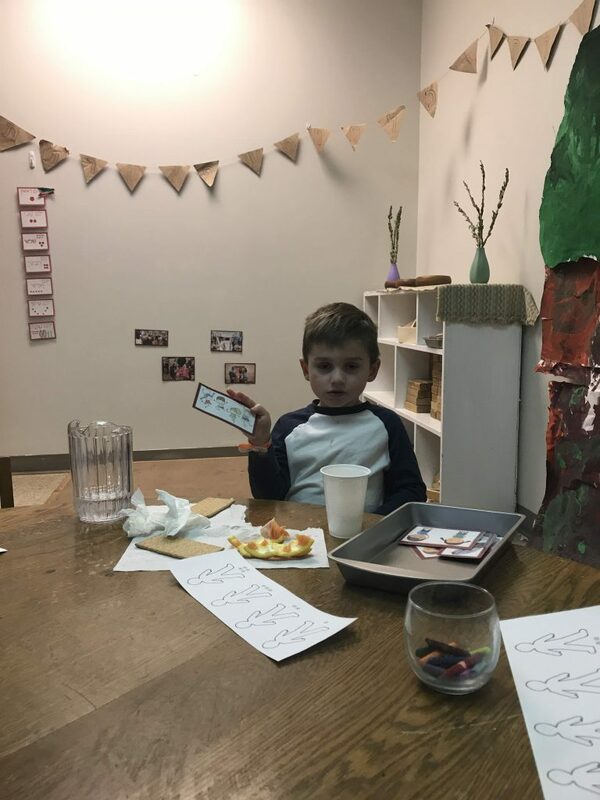 Children decided that we should pass our tray of cards around the table, this would make sure that each have a turn and the order would be known. 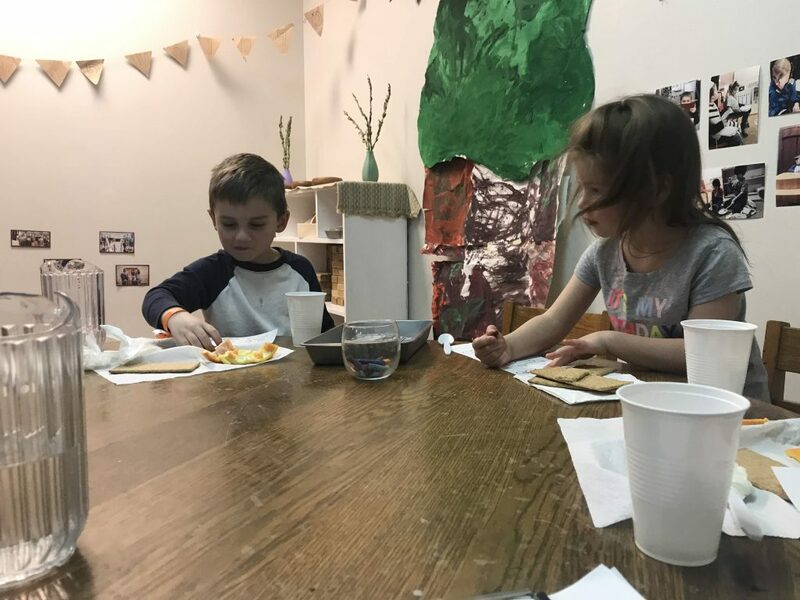 The children stayed together, which made it possible to listen to the ideas of their peers, and tried out each other’s choices until everyone had their turn.